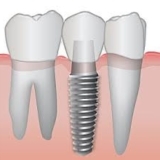 Call Today To Schedule A Complimentary Dental Implant Consultation! 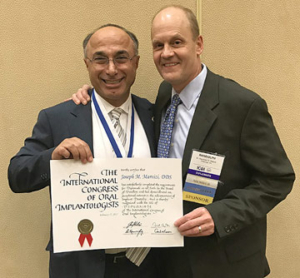 Tulare Dental Implant specialist and IOCI Diplomate Dr. Joseph Marvizi has helped hundreds of people with missing teeth reclaim their confidence and esteem. If you’ve been suffering from tooth loss, he will help end the discomfort and get you smiling and chewing again. – IF you have one or more missing teeth that keep you from enjoying the simple pleasures of smiling, laughing, talking, eating. – IF you have dentures that move around and make it hard to chew and smile. – IF you need a permanent solution to replacing your missing teeth. – THEN Dental Implants ARE The Answer! Do You Have Dentures That Slip and Move While You Talk, Chew and Smile? The Benefits of Dental Implant Retained Dentures! – More Natural Looking – Dentures that are placed over dental implants look, feel, and function more like your natural teeth. – No Movement – When dentures are anchored to dental implants, they will not move, which is not the case with removable dentures that are fixed to the gums with adhesives. – Improved Chewing Ability – With dental implant retained dentures, you’ll chew just like you would with natural teeth. If you are missing just one, or all of your teeth, Tulare Dentist Dr. Marvizi will get you smiling and chewing again. Call Today!